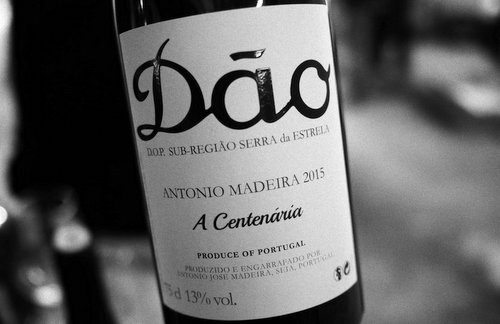 António Madeira began making wines in Dão while he was still living in Paris (he’s French, of Portuguese descent). In 2010 he found a 50 year old vineyard and began his project, but because the one-hectare plot hadn’t been pruned for three years, there was no wine made in that first year. Instead, his debut vintage was 2011. His goal has been to identify the Grand Cru sites in the Dão, manage the vineyards manually without herbicides to get life into the soil, and to make the wines naturally. Many of the great old vineyards in the region have been pulled out, sadly, and it’s not always easy persuading owners to rent them out. But he has persevered. 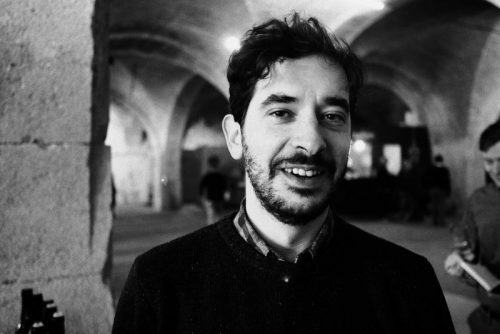 Since July 2017 he’s moved full-time to Portugal to pursue his vinous destiny. He’s now cultivating 23 vineyard plots in 6 villages (though he says that some of these ‘villages’ are just a row of houses on either side of the road), totalling 6 hectares of vines. This is Burgundy scale parcellation! Most are located in the foothills of the Serra d’Estrela, but some are actually more in the mountains. As well as his own production, he also buys in a fifth of what he needs. António is currently building a winery: so far the wines have been made in his garage. This is one of Portugal’s most exciting wine producers, in my view. But really he’s just unlocking the potential of great vineyard sites, so expect to see more wines like this if the market will support people working at this level. From two old north-facing vineyards with 50 different varieties, this is vinified without sulfur dioxide. Not bottled yet. Pale-ish pink red with some sappy cherry fruit. Unfortunately this is also mousy. Let’s hope the final wine isn’t. Thank you for the Portuguese well known Dão region!